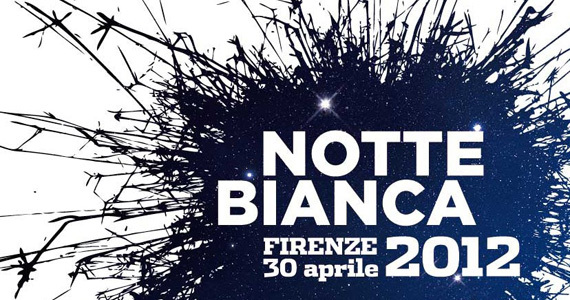 Every year Florence selects a spring night as a “Notte Bianca“, literally meaning a “white night” when the city organizes cultural programs all through the night. A sleepless night for many in Florence who want to take advantage of all of the free events taking place, including visits to several museums and music concerts throughout the city. This year, the “white night” will be taking place this upcoming Monday, April 30th, with most events starting at 7pm and continuing on until 6am of May 1. This year participants and events will be dressed in white! From the participating artists to Florence’s mayor, Matteo Renzi, all will dress in white, while the bridges over the Arno will have white paper lanterns which will float down the river at midnight and Piazza della Signoria adorned with hundreds of white balloons. In Piazza Duomo, starting at 7pm, there will be music by street bands while at 9pm head into the Duomo to enjoy a special concert inside the cathedral by the Maggio Musical Fiorentino orchestra directed by Zubin Mehta. Then head outdoors to enjoy live music in Piazza della Repubblica, in Largo Annigoni, in Piazza della Signoria. Head to Piazza Santa Croce for tango and milonga lessons starting at 9:30pm and just enjoy the sound of the streets of Florence as they come alive with music. Head back indoors to enjoy artwork in all of Florence’s main museums open through the night for free: from the Uffizi and Accademia open until midnight to the Orsanmichele church and museum. At 10:30pm at Orsanmichele enjoy a special concert called “Homage to Vespucci: A Trip Toward America” by the Orchestra da Camera Fiorentina that will play music by Morricone, Rota, Gershwin, Bernstein, Armstrong and Carmichael. In the Loggia dei Lanzi in Piazza della Signoria, a piano will accompany the various musical and vocal concerts held throughout the night. From 9pm until 4am, enjoy a picnic in Piazza Pitti. There are several events that take place between 6pm and midnight thought for children so that they can also participate in this magical evening. At 6pm, in Piazza Santa Croce, a choir made up of 600 children all dressed in white will kick of the evening performing Richard Strauss’s “The Knight of the Rose”. Shows, music and performances in Piazza del Cestello and along the Arno in the form of street bands will keep them entertained while in Piazza Strozzi they can construct their own musical concerts which they’ll then use to perform a final concert. Head to Palazzo Medici Riccardi to see master puppeteers put on their shows. At 9pm, head to the side of Palazzo Vecchio on Via de Gondi for a treasure hunt for both kids and adults. At midnight, the paper lanterns from the bridges will be thrown into the river, signaling the time for the kids to head off to bed. After midnight, events will continue in the heart of the city in the areas between Piazza della Repubblica, Loggia del Porcellino, Piazza San Lorenzo, Piazza Strozzi, jazz in Piazza Santa Maria Novella until 2am and in Piazza della Passera until 3am, tango in Piazza Santa Croce also until 3am, music in Piazza San Firenze until 5am. Piazza Santa Maria Novella will have a Slow Market throughout the night with food products from across all of Italy available for tastings and to purchase. Every half hour, enjoy climbing up to the patrol ramparts of Palazzo Vecchio (no reservations required between 2-5am but before then do reserve at info.museoragazzi@comune.fi.it) and end the night with breakfast in Palazzo Vecchio at 6am offered by Caffe Corsini. For full program you can download, head here: http://www.insonniacreativa.it/#!/?page_id=9 and click on “qui” in the phrase above the map. You can also see the events organized by location on the map. As you can see, they are spread wide throughout the entire center. NOTE: The Uffizi and Accademia are normally closed on Mondays but will be open all of Monday April 30th (at normal cost). It is only after 6pm that they will have free entrance. Note also that both will be closed on May 1. What is open May 1st? Palazzo Vecchio will remain open on May 1st, following its normal hours from 9am to midnight. You can also head to Palazzo Strozzi and visit the current exhibition dedicated to “Americans in Florence: Sargent and the Impressionists of the New World” between 9am and 8pm. Outside of Florence, I recommend visiting one of the several beautiful Medici villas found in the surroundings, particularly the Villa della Petraia (8.15-18.30) and the Garden of Villa di Castello (8.15-18.30) which are really close to each other and reachable with ATAF bus #2 and #28. Another beautiful one is the Villa di Poggio a Caiano (8.15-18.30) while the Villa di Cerreto Guidi (ore 8.15-19) is closer to Vinci. All of the villas will be accessible with free entry. Then of course you can also climb to the top of the Duomo (cupola) or to the top of Giotto’s tower, visit the cathedral and baptistry, the Museo dell’Opera del Duomo, Santa Croce Church and museum and Santa Maria Novella Church. All these will be open on May 1st – and are all recommended sites to visit to get to know Florence better. So much to do over the course of two days – you’ll definitely need the rest on May 1, international Labor Day! Lots of shops and restaurants will be open, but most everything will be closed. Enjoy! !